Premium Panoramic View Clear Western Red Cedar Barrel Sauna. 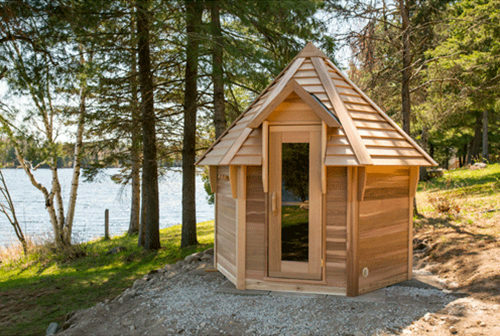 This sauna comes with an acrylic bubble back wall that allows you to see the beautiful view of you lake or landscape from inside the sauna. 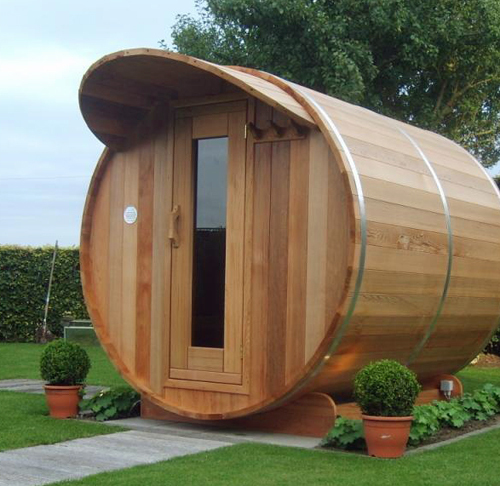 This unique sauna feels spacious and the views just add to the relaxing feeling when in the sauna. 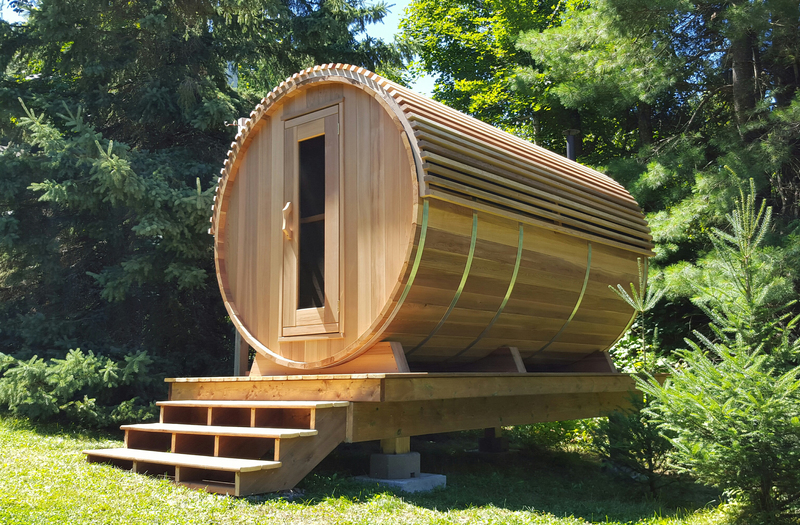 Western Red Cedar Barrel Sauna made with 1 1/2″ cedar boards and stainless steel hardware will ensure this barrel sauna lasts a long time. Add The Signature package for a premium look. Includes: Built in Floor, Premium benches with arch seat, Cedar slates between bench to the floor. Built in back rest for better comfort and Premium bench on porch if porch is selected. 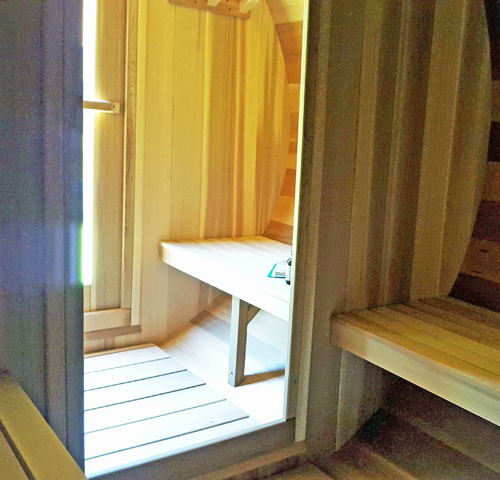 Upgrade the inside of your sauna with signature benches, backrests and floor all included.